This year marks the centenary birth of the virtuoso British textile designer. Here, Jason Mowen looks back at her phenomenal career. IT COULD BE SAID THAT BRITISH MODERN was born in the summer of 1951 during the Festival of Britain, a grand ‘Best of ’ celebration staged by the Labour government to herald an end to the grim austerity of the postwar period. The Festival provided a much-needed platform to a new generation of British artists and designers; with its nucleus on London’s South Bank, specially erected buildings and installations such as the rocket-like Skylon enthralled eight million visitors who, for the first time in more than a decade, were given a glimpse into an optimistic future. Although conservative leader Winston Churchill — who considered the Festival nothing more than socialist propaganda — ordered the South Bank site levelled after it closed later that year, something had shifted in the collective consciousness of the British people: tired of looking back, they were sold on Modernism. Homes and Gardens Pavilion, but it was Calyx, her breakthrough textile design for Heal’s that made the greatest impact. Drawing inspiration from artists Joan Miró and Paul Klee, Calyx was based on plant life (the word refers to the outer covering of a flower) but success at the Festival not only galvanised Day’s alliance with Heal’s (she would create 70 fabrics for the firm over the next two decades), it changed the course of British textile design. Most significantly, she and her husband were now regarded on equal footing as designers — an enormous accomplishment for a woman at that time. 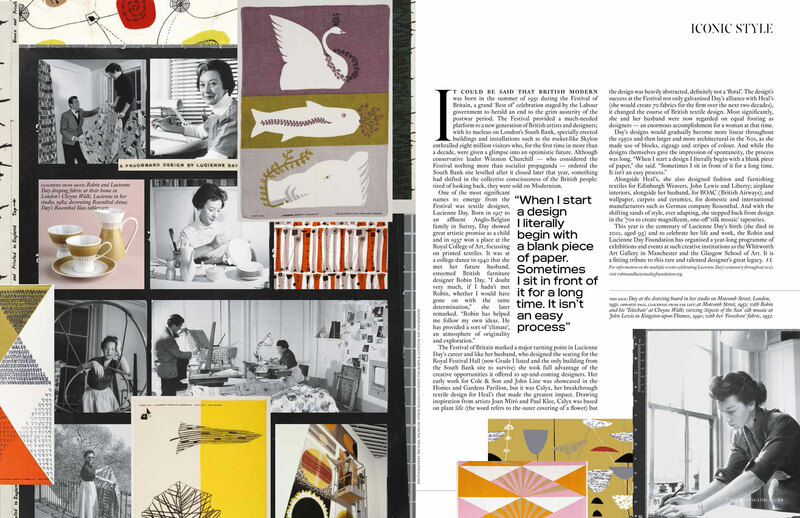 Alongside Heal’s, she also designed fashion and furnishing textiles for Edinburgh Weavers, John Lewis and Liberty; airplane interiors, alongside her husband, for BOAC (British Airways); and wallpaper, carpets and ceramics, for domestic and international manufacturers such as German company Rosenthal. And with the shifting sands of style, ever adapting, she stepped back from design in the ’70s to create magnificent, one-off ‘silk mosaic’ tapestries. 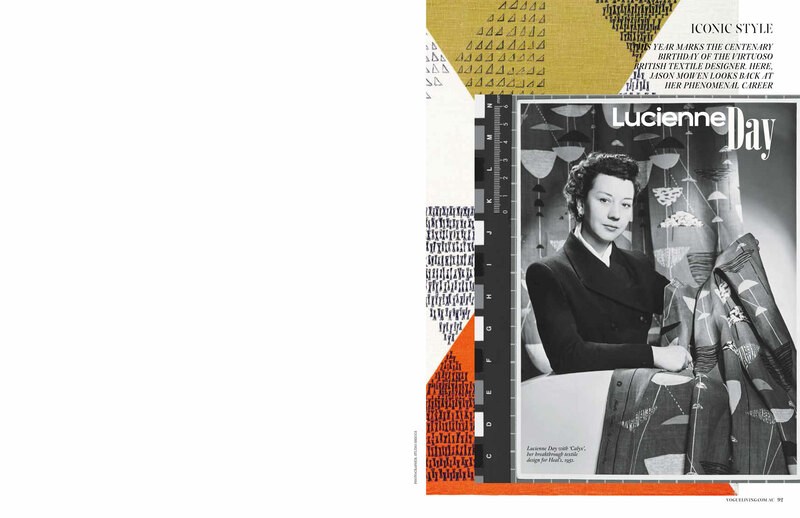 This year is the centenary of Lucienne Day’s birth (she died in 2010, aged 93) and to celebrate her life and work, the Robin and Lucienne Day Foundation has organised a year-long programme of exhibitions and events at such creative institutions as the Whitworth Art Gallery in Manchester and the Glasgow School of Art. 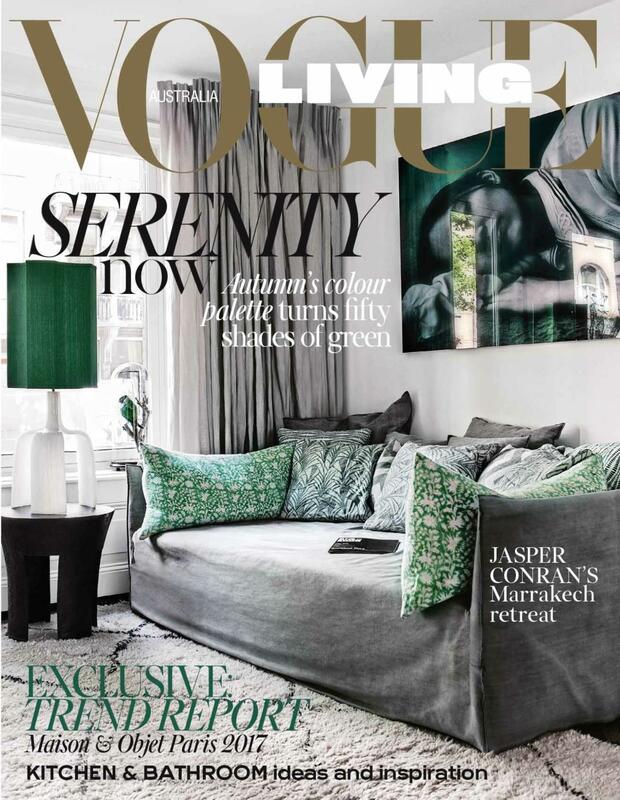 It is a fitting tribute to this rare and talented designer’s great legacy.